In a rare victory for the world’s coral reef systems, the Belize Barrier Reef has been removed from UNESCO’s List of World Heritage in Danger. The World Heritage committee declared Tuesday that Belize’s coral reef system no longer faces “immediate danger from development.” The announcement comes nine years after the reef was added to UNESCO’s endangered list due to the destruction of marine ecosystems by offshore oil extraction and “excessive” unsustainable building projects. “In the last two years, especially in the last year, the government of Belize really has made a transformational shift,” said Fanny Douvere, marine program coordinator at UNESCO’s World Heritage Center. 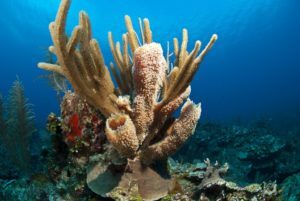 Measures imposed by the Belize government to conserve the country’s coral reef include strengthened protections for mangrove forests and recent legislation halting oil exploration around the country’s coastal zone. To continue those efforts, Belize pledged to phase out single-use plastic products by April 2019. The Belize Barrier Reef, designated a UNESCO World Heritage site in 1996, has been hailed as one of the most biodiverse marine sites on the planet. The region spans 185 miles of the country’s coastline and provides habitat for hundreds of marine species, among them endangered manatees, hawksbill turtles, rays, and sharks. 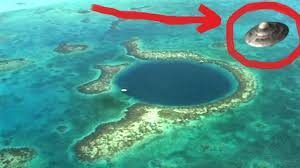 Its seven marine zones and 400 cayes make up world-class diving and snorkeling sites that attract travelers from around the world. THE SPACE SHIP IS A NICE TOUCH!